Looking for private in-home or in-studio Music Recording lessons? Our Clinton Township teachers are ready to get you started. Find your teacher today! Check out some of our most popular teachers near Clinton Township, MI including Troy, Sterling Heights, Detroit, Bloomfield Hills and Royal Oak. Seeking help with recording software? Protools, Garage Band, recording and mixing techniques? Lessons with a qualified instructor such as myself can help you learn 10x faster than studying manuals by yourself, and you will learn the tricks of the pros that are not taught in books. As a recording artist myself, I understand what it takes to be in the studio and develop a product that is representative of the artists vision. I have been a voice, acting, and teacher of creative arts for over 25 years. My background includes ten years of classical voice training with Maestro Julio Berrocal, as well as vocal training through the Feldenkrais approach with Marcy Lindhiemer. In acting, I have studied with renowned Stanislavsky scholar Sonia Moore and Master acting teacher of the Strasberg Method, Marcia Haufrecht. I received a B.A. For comparative literature and creative writing at the State University of New York at Purchase and have recently completed my Master's degree in social work at Walden University. and confidence to achieve their goals. I empathize deeply with the challenges students may face when pursuing a life in the creative and performing arts, having worked professionally in those areas for most of my adult life. I believe it is the teacher's job to respect each student's individual process of learning. My students have gone on to become recording artists, Broadway performers, movie actors, Blues and cabaret artists, and published writers. I am an empathetic teacher, sensitive to the student's individual process of learning. My singing lessons usually start with breathing and relaxation exercises. Vocal technique exercises come next. When the student is fully warmed up, we will begin to work on songs. It is important that students be a part of the process of picking material since the more personally they respond to the material the more apt they are to become engaged in their lessons. After three to six months beginning students will have gained an understanding of the fundamentals of breathing, relaxation, and basic performance skills. With more advanced students the focus will be on range extension and the on-going development of vocal style through song interpretation and performance related exercises. As an acting teacher and coach, I tailor my classes to the needs of each student. I utilize improvisatory and sensory techniques to help unleash spontaneity. I also encourage the students to use their personal experiences as a way to access a full range of emotions. I enjoy working with the student on script analysis, so as to discover the underlying motivations of the character the student is working on. I use prompts as a way to get the student writing. Often, I will ask the student to write for stretches of time without editing themselves. It is important to unleash imagination before beginning the process of editing. Many times it is the unexpected that is the most compelling. I provide a piano, cd/mp3 player and an large library of songbooks to work from. The student should bring sheet music of songs they want to work on and a recording device. I specialize in teaching how to sing rock, pop, musical theater, jazz, cabaret, and blues without hurting the voice as well as method acting instruction. Amy was excellent at drawing the requested responses out of my 5 year old and directing her to make adjustments. It was our first lesson and a very positive experience. Can't wait to see how the progress together as teacher and student. Amy is a true professional at both the art of singing and teaching. A pleasure to work with! I have recorded and produced over 20 albums of music in many different styles. I am a graduate of U.C. Berkeley. ;I have been teaching and performing music for over 15 years. I have toured the United States and other countries playing many types of music. I play Guitar and Bass and Sing I teach in a fun style that emphasizes the students creativity. Styles range from Rock, Folk, Electronic, Jazz, African, World, Hip Hop to Country. I can give you the skills to go to the next level. From 5-99 years old! Have guitars and amps, basses and amps, drum set, microphones and recording equipment. Although I only had 1 lesson with him so far, I can say he's a very good teacher and I had fun. Vir is a gifted teacher. He has taught my son guitar for more than a year. He meets my son where ever he's at in his practice, attention and interests with calm, skilled focus and intention . Vir's background as performing musician infuses his teaching with an enthusiasm and creativity of practicing his teaching. We are truly grateful for Vir. Vir is beyond your typical vocal coach. He was a huge help on things like pitch accuracy and phrasing, but more than anything, his focus on getting me to tap into and harness my inner power has already paid huge dividends in my recordings and performances. Further, Vir is an amazing person to know and his home-studio in Berkeley is magnificent! Having worked both as a performer and engineer in various studios throughout metro-Detroit, I have the experience to teach my students not only how to play a quality studio track but also how to develop that track to its highest potential using technology. Detroit native, Nicholas C. K., demonstrated an innate musical talent from a young age. His command of piano, guitar, trumpet and bass progressed to studies at both Columbia University in Chicago and Wayne State University in Detroit. Since age 16 Nic has toured the country sharing the stage with acclaimed rock acts such as; Tesla, Bret Michaels, 3 Doors Down and many others. He is currently endorsed by Warwick Basses. Nicholas been a musician in some form or another for as long as he can remember. His musical journey started when he was only six, with a delve into the realm of classical piano. While there he studied under world class child prodigy Josh Cullen. The composers that he studied include Bach, Beethoven, Barton, Hayden and many others. der Paul Finkbeiner, the lead trumpet player for the Paul Keller Ensemble. Then at the age of 11, with the help of his grandfather he discovered the guitar. He learned quickly on his old SR guitar. He quickly discovered that he had a natural taste for blues phrasing, and his soloing abilities quickly blossomed. 2 years later, he had formed his first band, Spherical. It was through this band that he found the bass. His journey into the realm of bass, began out of necessity and progressed into love of the bottom end. Since then, he has been collecting basses, playing, living and breathing bass. He now realizes the importance of a funky beat, a subtle line and most important of all A Tight Groove!!! The benefit of studying under someone with a vast array of both talent and experience is clear. During his musical career Nicholas has played almost every style of music; from folk to experimental from jazz to rock. One thread holds true through all music, it has to groove. During the course of a lesson he will cover a broad range of topics starting from the basics, and moving into ear training, sight-reading, theoretical knowledge and most important for bass players, groove. Just as every player has their own musical personality and voice, so to does every lesson that Nicholas gives. In a supportive, patient environment, every lesson is custom tailored to the student. Jazz Studies major at Wayne State University. Has a firm understanding of music across both the classical and jazz idioms spanning multiple instruments. Nicholas’s has Great energy and patient instruction for my son’s very first lesson. He was all smiles and excited to learn more! He inspired me to enjoy playing the piano again. I have years of Recording experience with my Analog 8-track 1/2" Tascam system, Audacity Digital Multitrack software, and Sound Forge Mastering software. I can help you with your own Software to Mix, Produce, and Master your own Songs. I have knowledge of Microphone placement, Effects processing, Decisions on Location and Floor/Wall materials. Whether you have some engineering experience or no experience at all, I take the time to cater to each student's skill level. I ensure that everything I teach is understood and easy for you to digest, I do not have a catch all curriculum because each student's needs and skill levels are different. 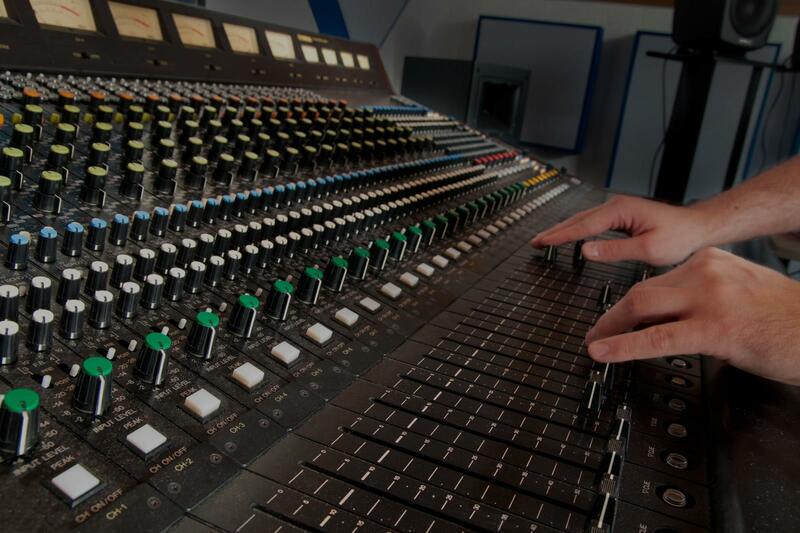 Gain-staging, microphone use, signal path, a functional approach to covering all the basics that will allow to to get up and running with a practical understanding of how to run a recording session, whether it's tracking instruments, cutting vocals or mixing. Logic Pro is the platform recommended as the best deal for students and pros alike. I am a professional singer, pianist, songwriter, and recording artist. I graduated from Broward College with an Associates Degree in Music Technology and dual -majoring in Vocal Performance. My primary instruments are Voice and Piano, but I also play guitar and trumpet. All of my students can expect to improve weekly in their technique and skill level. I teach students to release built up tension and apply fundamental techniques by relaxing and enjoying their time practicing or performing. I can help any student to sing or play with freedom, confidence, and expression. As a professional recording artist I frequently take trips to Atlanta and New York for recording and meeting with record labels. I have performed along side bands such as We The Kings, Plaid Brixx, and I have many musical connections such as Jadyn Maria, Katy Perry, Tiyon Christian, D. Smith, and more. I don't only teach my students, I mentor them, create a lasting friendship and help them reach their full potential and level of excellence. My personal passion is contemporary music but I firmly believe that great technique is essential to any and every style. I look forward to meeting you and helping you to become a better musician! She was a great instructor! I will work with her again!! Bebe is a great piano teacher, very patient and Enthusiastic about music. I highly recommend her!! Can't find a teacher in Clinton Township, MI?